Last week I had the unique opportunity to boil water over a wood stove. Not because I wanted to- but because it was keeping us warm. Water boiled in a kettle over a Jotul woodstove just tastes better somehow in a hot drink. This week the electric is back on and I am drawn, naturally to the fireplace- not only as a source of heat, but a source of good feelings and relaxation. Whiskey is on the menu tonight. 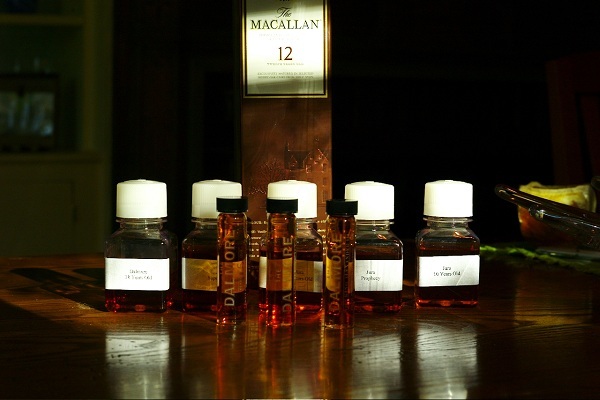 A tasting of several single malt Scotches. Will I know the difference? I wonder. Bourbon is usually my topic- Scotch is such an intellectual topic. Most of the authorities on Scotch are my friends- they know much more about this spirit than I do. A cocktail that calls for Scotch, usually would not use a single malt Scotch, unless money is no object for you. 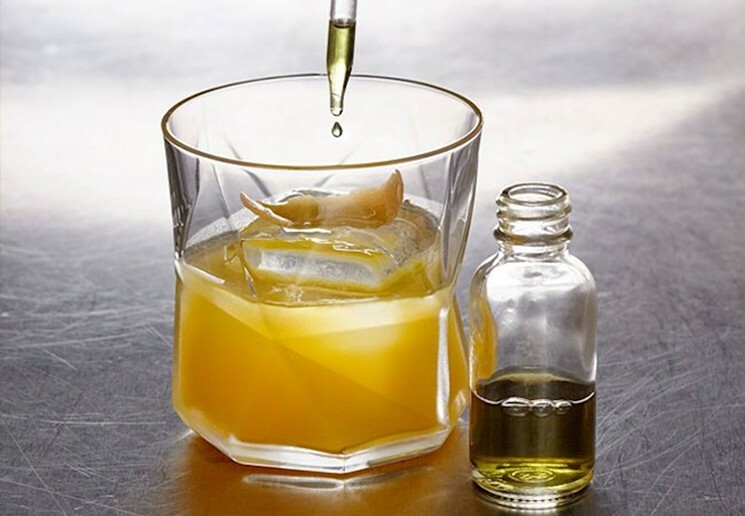 Many of my bottles are samples- but it may not be financially feasible to mix a hundred dollar bottle of 18 year old Scotch with freshly squeezed lemon juice! The Peat Fire is a simple cocktail of my invention. It involves the aroma and flavor of a peat fire burning in a cabin in Scotland. A lemon is juiced and some sweet vermouth added to the mix. Seltzer is employed and a dream is realized. This cocktail tastes fine with an inexpensive, but good smoky Scotch like Johnny Walker Red Label. It’s available almost everywhere in the world. Fill a drink mixer ½ with ice.